Apple will begin selling its new range of iPhones in October this year following a September unveiling, according to a report out on Monday. Previous rumors have claimed that Apple will struggle to meet its usual fall launch timeframe for its upcoming OLED iPhone, which is set to debut alongside two more typical LCD models, with several sources claiming the "tenth anniversary" phone faces a possible delay late into the fourth quarter because of production yield rate issues. 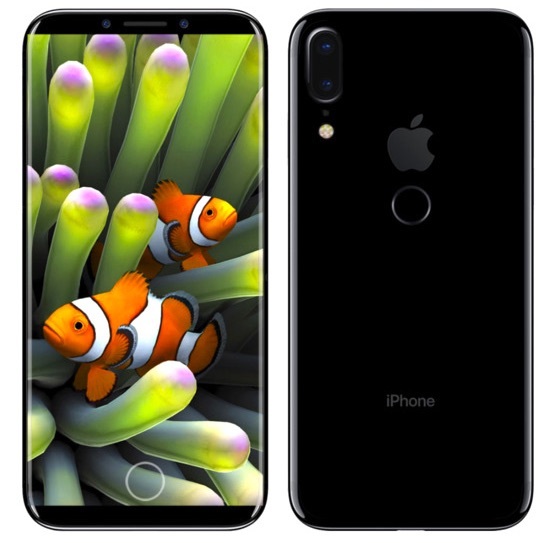 Japanese site Mac Otakara earlier this year suggested the "iPhone 8" would launch "very much" behind the LCD models, while KGI Securities analyst Ming-Chi Kuo believes Apple will debut the OLED iPhone in September, but the device will face "severe supply shortages" until as late as October-November, two months later than previous ramp-ups in August-September. Similar delayed production rumors have been circulated by analysts and media outlets in recent months. In contrast, the Chinese-language Economic Daily News claimed on Monday that there will be no delay for the launch of the next-generation phones, signaling the usual ramp-up in the production of parts related to the iPhone beginning next month. Both Zhen Ding and Kinsus have reportedly managed to improve the yield rates of SLP products which will allow for volume production of the materials in June. Meanwhile, iPhone assemblers Foxconn, Winston, and Pegatron are said to be accelerating the recruitment and training of new workers in China in preparation of mass production of the new iPhone. Apple has a major redesign planned for the "iPhone 8", with a glass body and edge-to-edge OLED display that may include an integrated Touch ID fingerprint sensor if the company can overcome the technical challenges involved. Other potential features include wireless charging, a vertically oriented rear dual-lens camera, and a front-facing camera with 3D sensing and facial recognition capabilities. The OLED iPhone is expected to be sold alongside upgraded (but standard) 4.7 and 5.5-inch iPhones. So same rumors as always, also same release date as always. iOS is just such a more refined OS than Android. I like the freedom and options of android but the OS is no where close to iOS quality. I can think of other things to be concerned with over a "Fugly Protruding camera." Like, how about not relocating the touch ID button to the back of the iPhone. I probably won't be buying a new iPhone for a while but I do hope the new models satisfy those waiting for them. I am intrigued to see this new top-end one especially, and I certainly hope they don't have to put TouchID on the back. I do like this wallpaper I have to say, anyone know where to get it ? You're trying to find Nemo... ! :D Well it made me laugh anyway. Didn't think it'd be as late as rumoured. This is pure unadulterated false. Android quality on Google Pixel devices is on the same level as iOS if you ignore hardware defects in Pixel. In fact, I can download huge files/torrents on my Pixel and transfer them to my PC when needed, saves a lot of power bills. No need to keep my Monster PC running 24x7. I cannot do that on an iPhone how much ever I want. "Behind the the LCD models"
I'm sorry. Yes, I'm that that annoying guy. Quite frankly, its because I can afford to. Also I wanted to experience the Samsung bezel-less screen for myself and I believe in supporting companies that try push tech forward. So i was happy to give them my money. I'll wait for Apple to get to gear then I switch back. The iPhone 7 was the worst upgrade I've ever made.